Dubai, UAE, April 10, 2019: BMW Group Middle East, together with Bassoul-Heneine, the official BMW Group importer in Lebanon, will put on a high-voltage display at the region's first auto show dedicated entirely to electrified vehicles and e-mobility. The show is a great opportunity to enhance BMW Group's reputation as a trendsetter in zero-emissions electromobility as the Middle East embraces sustainable transport. Dr Hamid Haqparwar, Managing Director BMW Group Middle East, said: “The emergence of the e-MotorShow Middle East is testament to the region's increasing demand for environmentally-sustainable and technologically-advanced e-mobility. 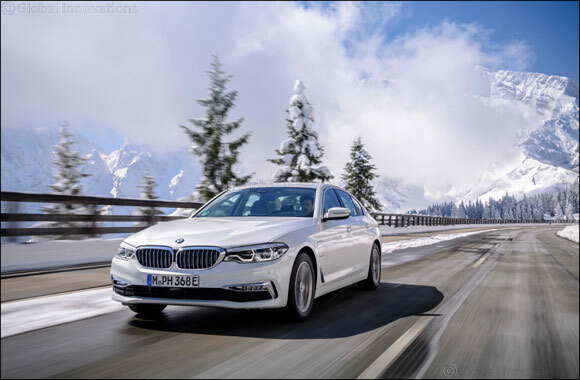 The BMW 5 Series plug-in-hybrid accelerates from zero to 100km/h in 6.2 second and has a top speed of over 230 km/h, while the BMW eDrive system's state-of-the-art electric motor has an output of 83 kW/113 hp and places maximum torque of 250 Nm on tap, while the four-cylinder combustion engine with its 2.0-litre displacement generates 135 kW/184 hp and 320 Nm of torque. With the BMW i3, BMW i4, the BMW iX3, the BMW iNEXT and the MINI Electric, the BMW Group will have five all-electric models on the market by 2021 and the number is scheduled to rise to at least twelve models by 2025. Including the rapidly growing range of plug-in-hybrids, the BMW Group's product portfolio will then comprise at least 25 electrified models.